If performing well, then i may ask to a fabhouse for PCBA, as it should be a "cheap" board. This is getting really small, it's great to get power consumption low enough to be able to use a CR1632 for a long time. @openhardware.io So, I have been looking for a way to determine if a door lock was locked. Is this that? @scalz Is your plan is to drill a hole into the window frame and put this board in? Most modern windows here in Germany have enough space between the inner and outer windows frame to place a flat board between. My windows have a slot of ~1,8cm and my door of ~1,2cm. For my house, or some of my friends, that would work well, some others not. when that's the case, i'll use my aeos board as a common door sensor. Do you mean you would need a smaller board? @scalz I mean this: https://shopdelta.eu/wireless-window-opening-detector-ja-82m-jablotron_l2_p6386.html Looks like fitting in doors and windows following European standards. Most new plastic doors and windows in Germany looking like this. The metal at the right side can surround the window. BTW. your board is perfect to put it into a little capsule and fixating it with silicone at the glass or at the frame. @d00616 oki. I didn't know these ones. will think about it. @d00616 the sensor you showed me above is 25mm width?? so it's bigger to fit, right? The width doesn't matter in that dimension. There is a space for an object with a with of 4cm and a height of 1cm. This is another concept for windows. 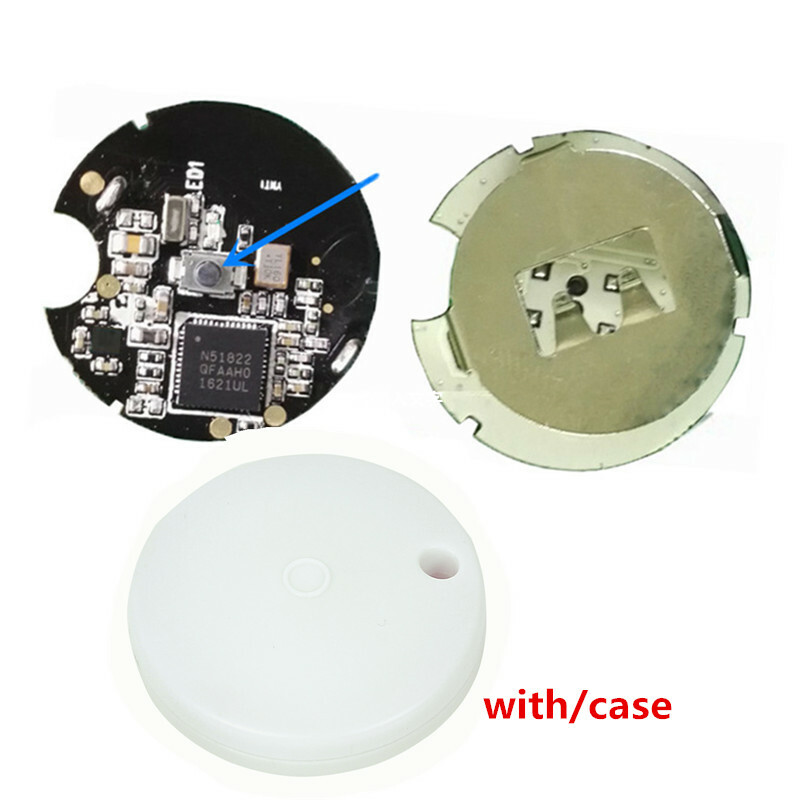 Here is a pic of this very tiny door sensor with accelerometer for vibration detection. crazy! Need to print a box for this one and install it in a door..
Can't wait for pcb publishing ! I asked myself the same question, then I checked the prices and if you want it in small quantities from a reputable source, LIS3DH is 1/4 of the price (1.5$ compared to 6$) while keeping a "low enough" power consumption. i have lis3dh in stock and wanted to validate my idea. fabhouse usually source at known suppliers in case of pcba, and the adxl is not very cheap. it is mainly for detecting tilts on door intrusion or knocks. I didn't need a very precise accelerometer for motion. @scalz is there any chance that one could buy this device preassembled from you? I was thinking I could use something really tiny as a one button scene controller and found your design. Maybe you can even leave out some components in my case to keep the effort and cost down? Or do you have some other design that would fit my purpose (small one-button scene controller)? Hello Tomas, I have bought one of those. They are over 20mm diameter so not as small as the one from @scalz but still pretty small and they have a physical button + a led (and an unpopulated footprint for an accelerometer, too). This is the one I bought but there are many seller, I hope with a better price as when I bought it, I paid less than 4€ and shipping included. I have received mine but not tested programming it yet, if you want me to confirm there's no problem to reprogram it I'll can check it during the week. Nice @Nca78 ! With case and everything it is perfect! When you find the time to test it would you mind creating a new thread for it with details like what I would need to be able to program it? (and an unpopulated footprint for an accelerometer, too). I wonder whether that unpopulated footprint is where the antenna is?